Introducing new technology into your church can improve efficiency, increase productivity, and make your life a whole lot easier. But getting your church on board with new technology can be challenging. From introducing new online giving tools to providing check-in Kiosks for your children’s ministry, you will run into common barriers to technology adoption in your church. To help you overcome these potential obstacles, it's essential for you to know Bible verses about technology. In the meantime, here are the most common barriers to adopting technology you’ll come up against in your church. Is the leadership of your church on board with your proposal? If not, then you won’t get far. Getting the approval and support of your church’s leadership to introduce new technology to your church is vital. Without their help, you won’t be able to move forward, or, if they’re not excited, then their support will wane after the initial launch, which means your project is doomed to fail from the beginning. Before you can remove any of the other barriers to adopting technology, you have to get your church’s leadership on board first. Influence takes on many forms in the life of your congregation. From the influence of the senior pastor, pastoral staff, support staff, volunteers, and peers, several influential tributaries are pouring into the life of your church. When introducing new technology, it’s essential to leverage many forms of influence. Whether you’re leading a church or business, it takes more than the direction of one person to drive people to accept change. Before launching any new technology, spend time rallying the support of your church’s leadership, staff, and key volunteers first. Help them to use the technology. Answer their questions. Get their feedback. Assuming the technology you’re introducing is looked upon favorably by your leadership, then you can expect their influence to trickle down to their circle of influence and beyond. What is more, this group will be able to answer any questions and even help people in your church use the new technology. Does anyone in your church know about your new technology? Did you create a new website? Do you offer mobile giving? Regardless of what new technology you’re introducing, you’ll need to let people know it’s available. 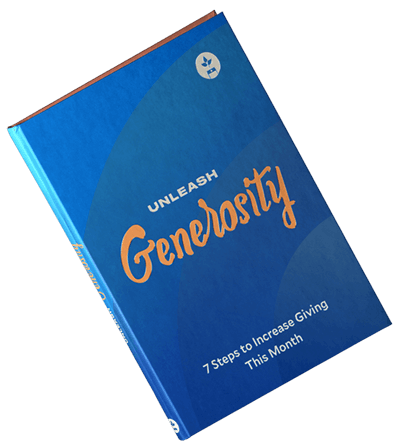 To do this, you’ll need to launch it to your church initially, and then you’ll have to promote it throughout the year continually. It can take people in your church hearing the same message several times before deciding to use the technology you’re promoting. From weekly announcements and PowerPoint promotions to your church’s newsletter and posters in your foyer, there are many ways you can create awareness for your new technology. Trust is essential for the adoption of technology. If someone in your church doesn’t trust the technology you’re promoting, then they won't use whatever you’re pushing. For building trust in technology, you’ll not only have to take into consideration the specific tool you’re recommending. But you’ll have to keep in mind other roadblocks people may have with the type of technology you’re using. For example, with online giving, the members of your church may not be comfortable with using their banking information online and prefer using cash or checks when donating. If you use Tithe.ly, then you can let your people know that our security is on par with leading financial services and banking institutions. Whatever technology you use, you’ll have to identify the common objections and let people know how they can overcome them. The goal of technological advancements is to serve people. They should make life easier, empower individuals and communities, or solve a problem. Before someone in your church is willing to adopt new technology, they’ll want to know what’s in it for them. Every day, the people in your church are exposed to a litany of promotional offers and the latest device or app, and they’re not inclined just to use anything new. Why should a member of my church use this tool? How will they benefit from this technology? Does it empower them to live for Jesus? Knowing how the members of your church will benefit from the technology you’re introducing is crucial. Being able to connect the felt needs of your church will help you to lead them to adopt new technology.